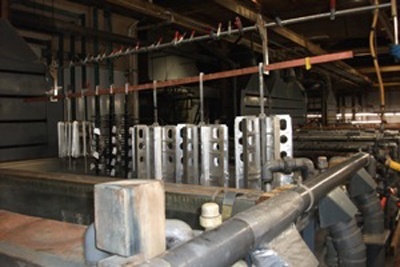 The Aluminum Finishing Company, Inc in Bridgeport, CT is equipped with state-of-the-art machinery to ensure superior metal finishing processes. Included in our extensive line of equipment are various tank sizes that enable us to work on metals of different proportions. Rest assured that we are fully prepared to deliver the metal finishing services you require! We hope that the information available on this page gives you more insight about the metal finishing services our company offers. If you have questions or clarifications, we encourage that you call our office and speak with our representatives! You may also request a service quote.